A tea pot known as kyusu is supposed to be a must to make tea. 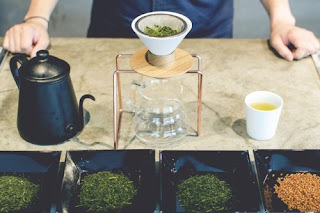 But due to overwhelming popularity of bottled tea, many people, especially younger generation, don’t use/have a kyusu at home, which is shame.Therefore tea people have tried to attract more people to make tea with kyusu instead of bottle. Amid such a situation, a design company, LUCY ALTER DESIGN Inc. has proposed a new idea of making tea. Which is.....Use “dripper” named Green dripper, instead of kyusu. Their catch phrase is; Are you still using kyusu??!! Japan is a coffee country rather than tea. 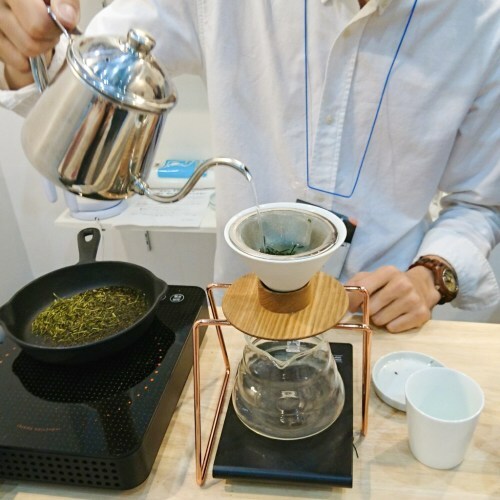 So people might think it is cool to use dripper even to make tea. I believed that tea need to be unraveled properly for the flavor of tea to be extracted. I’m not sure how it works with this. Tasting is believing. I should try it when I have a chance.